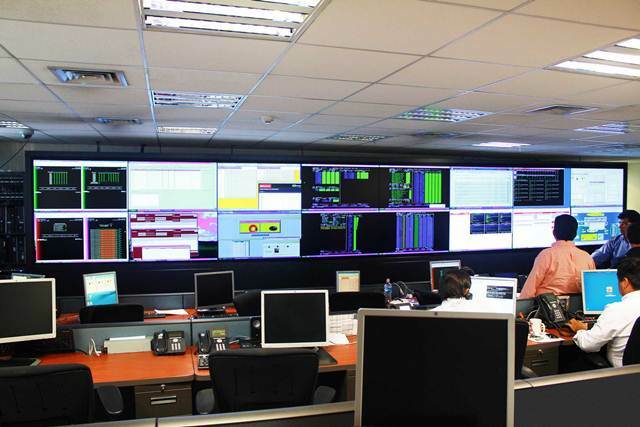 Wavetec installed a complete digital signage video wall solution at Santander Bank Chile, consisting of 16 professional high-definition displays to operate 24/7 at the bank's monitoring room. Established in Chile since 1978, now with over 250 branches throughout the country, Bank of Santander is a leading financial institution, by virtue of its market share and its capital strength and profitability. Constantly trying to position itself as a major player in the Chilean banking industry as a leading bank in Latin America, Bank of Santander strives to be recognized as a quality and efficient service provider to effectively meet the requirements of the shareholders, customers, employees and the society as a whole. Given this situation, the need for a solution at its headquarters that allows flexible and dynamic monitoring of all the daily transactions occurring in all the branches of the country, is even more evident. Bank of Santander Chile identified the specific need to innovate and optimize its monitoring room by installing a Video Wall solution, for visualizing the Bank's flow of activity in a holistic and comprehensive manner throughout the country. 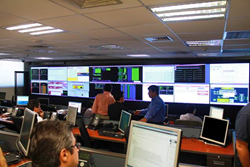 Wavetec developed a customized video wall signage solution at Bank's central monitoring room which comprised of a 16 professional high-definition displays ready to operate 24/7. The video wall is connected to a video processor that can connect up to 32 video inputs at once. Due to the installed Video Wall, it is possible for banks management to proactively monitor activities at various branches for appropriate decision-making and service optimization. Moreover, it prioritizes and focuses on certain information depending on the day or month, interspersing the order and/or the grouping of the displays. The Video Wall can screen some of the following variables: payment and transfers status, payrolls, server status throughout Chile, ATMs, system errors, Redbank status, etc. Santander is truly committed to innovation. Previously, the bank had an outdated and rigid monitoring system, which was a limiting factor for monitoring what was needed; thus, it was decided to step forward and install Wavetec's Video Wall solution for a more focused, flexible and adjustable monitoring in order to meet the specific and emergent requests, prioritizing the priority of the moment. 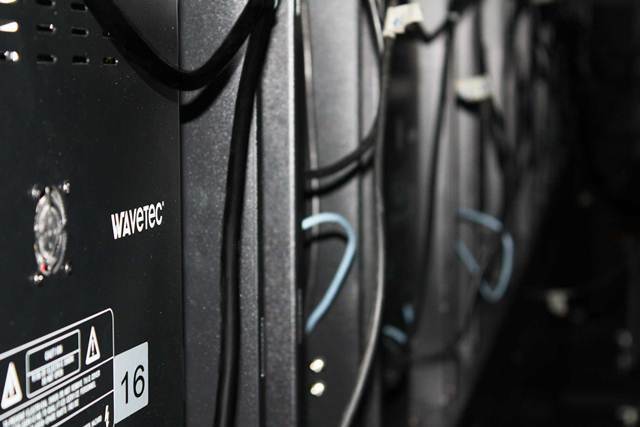 Wavetec is a leading global company in the domain of LED Display Solutions for financial markets. This can be seen in the successful LED display installations and system integrations in over 23 stock exchanges such as Barcelona, Chile, Peru, Qatar, Bahrain, Saudi Arabia, Oman, Dubai, Nigeria and Kenya, among others. Possessing expertise and technology, Wavetec stands at the forefront of digital signage for a wide range of industries such as banking, retail, mining, etc.